What men are doing behind the scene these days will shock you especially if it involves crime. Even more surprising are the rights some of the worst offenders will fight in claim of. 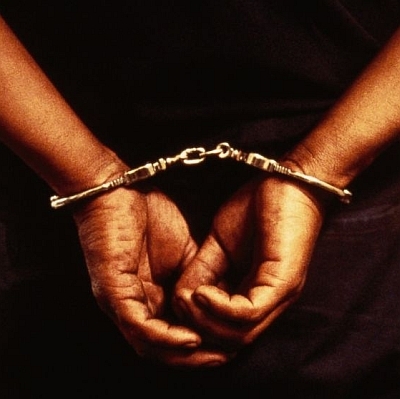 In a shocking case study,a man guilty of defiling his own five year old son has turned around saying he wants his conviction to be quashed, saying the evidence of defilement was weak to convict him. In his appeal, the man cites instances that the preceding trial magistrate erred in convicting him. “Trial magistrate did not notice that she had discretion to award any sentence she preferred between the minimum of 10 years to life imprisonment. She erred by imposing the maximum sentence and interpreting it to be the only mandatory sentence,” read the appeal. He also accused the trial magistrate of introducing her theories, not backed by evidence, and using them in convicting the then accused. The appeal stated that even though the appellant at first admitted to have committed the offence, he later denied defiling his five-year-old son. “The appellant at first admitted to defiling the son. ‘I defiled the child. It is the devil who made me do it’. He however pleaded not guilty to the charges,” read the appeal. According to the appellant, the trial magistrate was unfair in considering the statement by the appellant in her judgement and was bent on convicting the accused. “When the person listens to the charges clearly read to him he agrees with it. The court cannot shut its eyes to such a shouting statement from an accused,” read the judgement. The appeal cut across all angles, including the boy’s age, which according to the appellant was not assessed but assumed. Witness statements contradicted between the doctor and the witnesses in terms of the age of the minor, which is key in determining the sentencing. “Convicting appellant on evidence of penetration but failing to note that the evidence of the doctor did not corroborate that of the victim is bias in judgement. There is a difference between empathy and justice. The magistrate failed,” the petition said. The case will be heard in January. He filed the appeal before the High Court in Nakuru, asking presiding judge Joel Ngugi to quash his sentencing. Do you agree the accused deserves a better conviction?